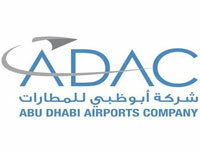 The Abu Dhabi Airport Free Zone is a comprehensive business park being developed by Skycity, a subsidiary of Abu Dhabi Airports Company (ADAC), on an area of over 12 square km. near Abu Dhabi International Airport. With its investment incentives and strategic geographical location within Abu Dhabi International Airport premises, the Airport Free Zone has become a flourishing business centre that attracts and promotes private sector investments.